In the current economic climate, organizations often face a surplus of applicants for job openings. In short supply, however, are qualified applicants: those who possess the right combination of in-demand skills, credentials, and experience. 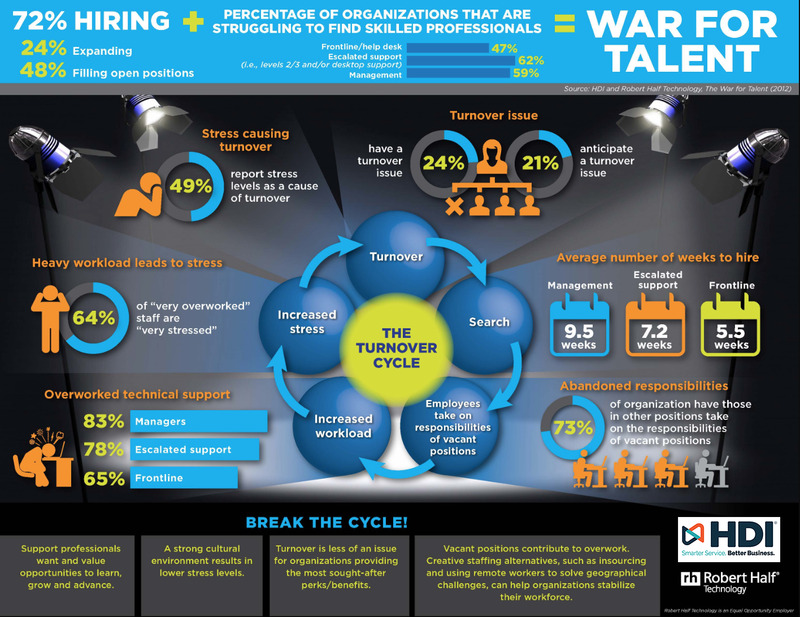 The War for Talent infographic illustrates the business need for skilled professionals, the pressures exerted by unfilled positions, overwork and stress, and shows how positive cultural elements can help reduce the turnover cycle. Download the full research report for insight on the current hiring environment and help on how to break the cycle.